It started as a simple heist. It went to hell from there. On a space station orbiting a pale blue sun, a package changes hands. Data too sensitive to transmit will be exposed for one brief moment. The client is paying a crazy sum - if the job is clean. That’s not going to happen. Instead, the galaxy’s unluckiest crew of outlaws will have to put all their resources into salvaging what they can from the job. Even if it’s only avoiding blame for the fallout. Good tale of the dark ocean. Humanity's last encounter with aliens saw 16.2 billion people killed in a war with the Merkiaari that had spanned decades. Two hundred years later, the Alliance is cautiously exploring beyond its borders again, but the survey corp is considered a mere gesture by some. General Burgton of the 501st Infantry Regiment believes a lack of expansion is leading the Alliance into stagnation. 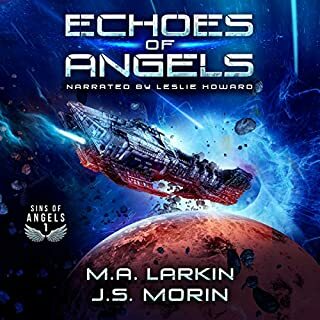 So when one small ship discovers a new alien race, it should be an easy decision to make contact, but what if the aliens are like the Merkiaari? With nothing but the bankrupt station as severance pay, Director Fujita Hiroko moves to the edge of the galaxy to keep the station afloat as an independent mining operation. When the nearby planet vanishes with her and her survey team still on the surface, hopes of mining are quickly replaced by a more pressing goal: finding a way back to her station. They found a planet where none belonged. They should have left it alone. With her company bankrupt, Hiroko takes her mobile mining station as severance pay. Trekking to the edge of the galaxy in search of a way to keep afloat, she stumbles across a planet adrift in astral space. Instead of registering the anomaly as a hazard, Hiroko embraces the opportunity to investigate. But she didn't know she'd be triggering a wild adventure of interstellar intrigue as factions vie for the ancient secrets guarded by the planet. They wouldn’t be in this mess without him. Nor are they getting out of it without him. 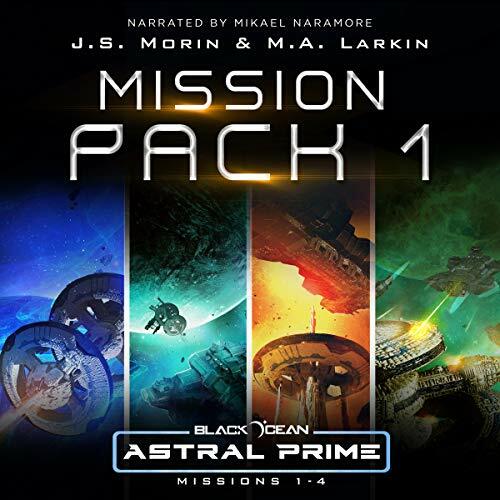 Black Ocean: Astral Prime hearkens back to location-based space sci-fi classics like Babylon 5 and Star Trek: Deep Space Nine. Astral Prime builds on the rich Black Ocean universe, introducing a colorful cast of characters for new and returning listeners alike. Come along for the ride as a minor outpost in the middle of nowhere becomes a key point of interstellar conflict. Set off for adventure and terror at the last planet in the galaxy...or maybe the first. This is everything I've been waiting for. 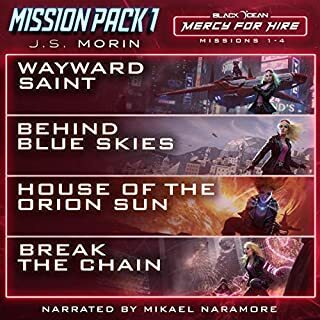 I've finished the Black Ocean series 6 times before finally listening to this mission pack and it everything I've wanted to hear about. I can't wait for the next set of mission packs and learn about Cedric's choices. Naramore once again does an amazing job bringing life to the series and it wouldn't be the same without him! For now, I continue the series with Mercy for Hire! This was a great addition to the Black Ocean universe. Finally an answer to one of my biggest questions, the "Earthlikes". Books 1 and 4 were a little weak, but 2 and 3 were great if a bit short. I wish each one had been at least twice as long. I also very much enjoyed the special cameos in 4.5. I am about 2/3rds of the way through this sci-fi 4-pack series, and couldn't care less if I finish or not. The specialness of the series that was experienced in the 1 through 16.5 series is gone. No more great descriptions that kept reminding me of what the characters looked like or saw, smelled, tasted, felt, or heard. No more unique insightful moments of noticing something about life, or on a planet, or in some interaction. No more twisty plot that holds delightful surprises. No more sophistication and depth. The story uses the world structure built in the previous books. Some of the characters or species too. But it is just basic paint-by-numbers writing and the series has slid back toward a Young Adult level. 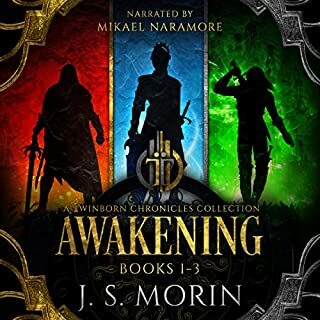 The narrator slides around mixing up the characters' voices at times, not bothering to give distinctive voices to the characters so I am constantly guessing, wondering, and waiting for the X-said or Y-said written in the story to let me know who said what. I will trudge through the rest of the story, but it's not a wonderful hike through someplace different. It's just another science fiction story. The unique and delightful difference that made me compare the writing to the specialness of Firefly is not here. 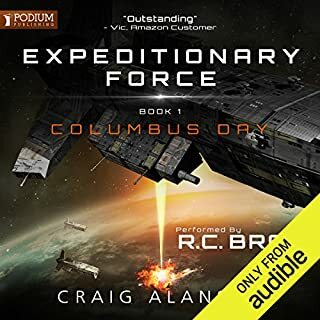 I really loved the Galaxy Outlaws series, and was excited to find that the story continued, even though I knew that this series did not follow the main cast of the original. That said, however, this was a far cry from the original. I was going to give the story three stars but the final 'bonus' chapter was so bad that I had to take a star away. Best yet in the series! These stories just keep getting better and they always end with me looking for more. more black ocean goodies please! 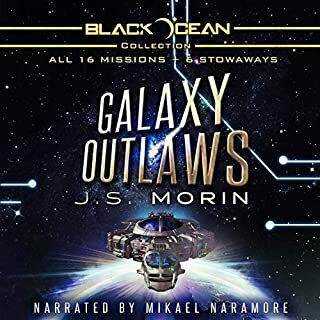 just when you thought that "galaxy outlaws" and the black ocean series was over! my only complaint and sadly as a result cant let my kids listen, is the over use of profanity. I love me some Brad thor and Vince Flynn too & their use is slightly less, but still there albeit more understandable in most regards due to the subject matter that blends fiction with fact in their books. but all are such great stories...just sad there isnt a version that's PG or PG13 at worst. black ocean series is still 5 star stuff. but adults or late teen only imho...cant wait for next installments! Could have been twice as long. loved every second of it. 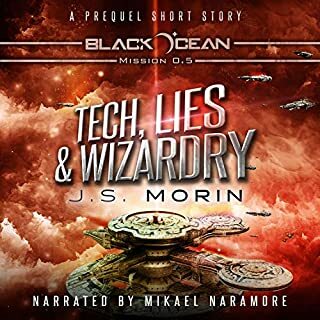 JS Morin is awesome, going to read everything in Black Ocean. You built the backdrop with Black Ocean and got us enthralled with the crew of the Mobius and now you drag us deeper into the Astral with Cedric The Brown... Damn it!! Now when does the next one come out?? When do the Vyien come pay Astral Prime a visit? ?